Do you have a website or blog which focuses on parenting, family, finance, green and eco-friendly, electronics and other related topics? If so then you can Join the Gazelle affiliate program. 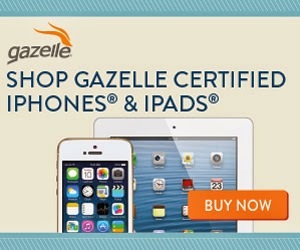 Gazelle's affiliate program offers the opportunity to earn generous commissions by promoting both Gazelle's electronics trade ins, and certified pre-owned devices.